One of the side effects of stocking up is the inevitable packaging that the inventory arrives in. 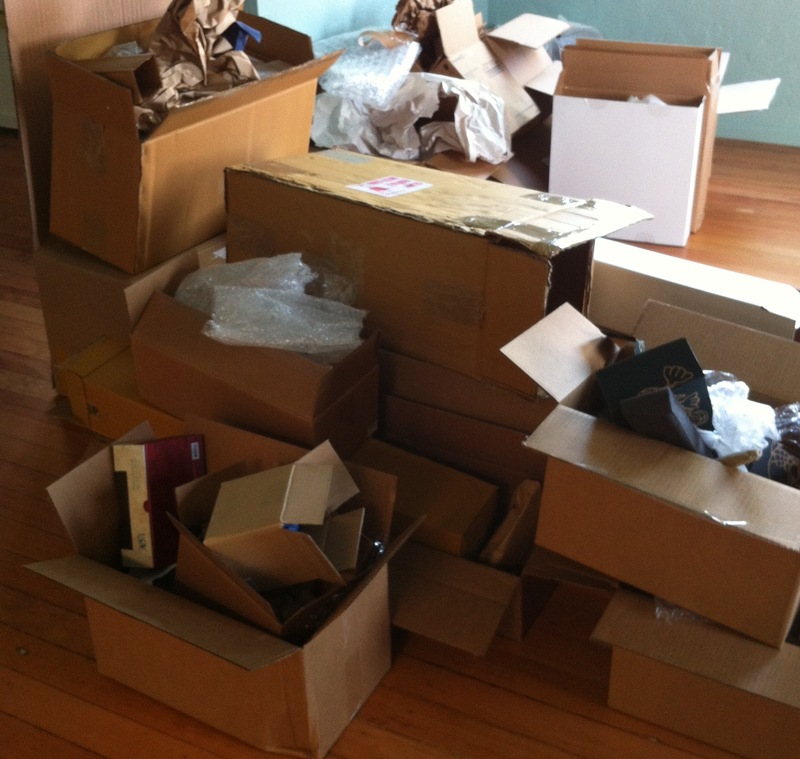 As you can see from the photo, we’re’ accumulating a fair amount of cardboard and plastic that will need to get into the right recycling stream. The way vendors choose to pack their wares is highly variable. For instance, we had one seemingly indestructible item wrapped layers of plastic and paper, cushioned by bubble wrap, secured in a double cardboard box. That item survived the trip. On the other end of the scale, we had some glassware arrive that was simply placed in a cardboard box with simple paper insulation and labeled “glass – fragile.” Unfortunately, not everything in that shipment survived. Another interesting observation is how vendors choose (or not) to extend their own brand into the product. If it’s discreet I don’t really mind and leave it as shipped. However, the other end of the scale can be scary. One item that arrived had the look of a NASCAR stock car with all the stickers, labels, and tags hanging affixed to it. Which of course took some time and effort to remove without damage, but made the item palatable. Well, that’s the update from today. Going to avoid parking tickets and go help Spouse out at a fund raising event for Daughter’s school this afternoon. Hopefully, I won’t miss the delivery guys with a few shipments we expect today…. You are currently reading Recycling at Oddyssea.